Neenah, WI - As of January 1, the Editorial Resources and Consulting Services departments of J. J. Keller & Associates, Inc. have merged to form a new department: Editorial & Consulting Services. Steve Murray, formerly senior director of consulting services, will lead this new department as the vice president of editorial and consulting services. According to Rustin Keller, executive vice president & COO for J. J. Keller, these changes will further strengthen one of the company’s key differentiators — regulatory expertise — and allow for more streamlined operations in Editorial & Consulting Services. “Steve has led our Consulting division to achieve a consistent high level of growth, and we look forward to his continued leadership in helping the Editorial & Consulting Services team do the same,” said Keller. 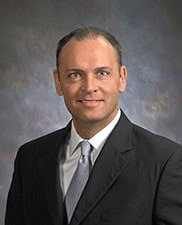 Murray previously spent 12 years with Schneider National as a general manager in regional operations, service management, operations support and strategic staffing. Since joining J. J. Keller in 2013, he has led the Consulting Services team to a number of significant accomplishments. Murray is a graduate of Marquette University, with a degree in Business Administration. The newly formed Editorial & Consulting Services Department includes more than 50 experts in OSHA, DOT, DOL and related state agencies. Serving more than 600,000 customers, including 90% of the Fortune 1000® companies, J. J. Keller & Associates, Inc. is the nation’s leading provider of regulatory, safety and compliance solutions. Organizations of all sizes rely on our expert insights to help create safe work environments and simplify the complexities of regulatory compliance. Our diversified portfolio of solutions and services including online management tools, publications, training, forms, supplies, consulting and professional services is trusted to safeguard workers, reduce risk and build operational confidence. As a privately-held, family-owned company since 1953, we are committed to helping protect lives every day. JJKeller.com.